The idea behind fat injection is to have fat taken out from one part of the body and placed in another part in order to create a more appealing contour or to restore lost volume. Over the last several years, buttocks enhancement surgery has gained increasing popularity with women who wish to enhance the shape of their buttocks and improve their waist-to-hip ratio. So why not perform fat injection instead of buttock implant surgery? There are some caveats to consider with regards to fat injection into the buttocks area. Generally speaking, fat injection is a more suitable mode of volume restoration for smaller areas. Because buttocks are a relatively large area, a significant amount of fat is required to make an appreciable impact. Furthermore, the fat needs to be harvested and injected during the same operation. This could lead to a problem if a large donor area from which fat is obtained cannot be located. For these reasons, fat injection to the buttocks generally produces a fairly modest change in contour. While it can be appropriate in certain cases, Dr. Carman performs fat injection to the buttocks only if it is technically possible and only for patients who are likely to be happy with a moderate change. If sufficient donor sites are available, it is possible to build up the buttock contour in stages. 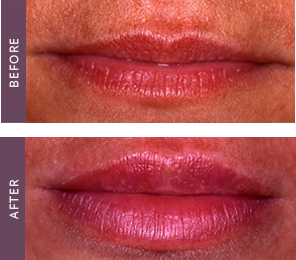 this approach allows a greater volume change, but requires two or three surgical procedures. Despite its limitations, fat transfer to the buttocks remains one of the best methods of improving contour with a minimum of complications and provides a very natural looking final result.